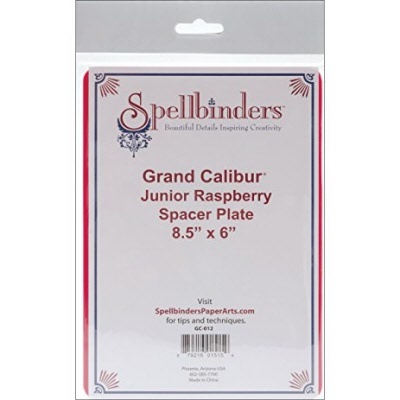 Spellbinders Shapeabilities dies offer the greatest cutting and embossing detail possible. These sophisticated die templates offer maximum 3-in-1 versatility. First use the die to cut the shapes. Then emboss detail in to the die cut shapes. Optionally stencil through the cut-outs in the die template for added impact. Unmatched in sophistication and detail, Parisian Accents is a set of seven coordinating elements with swirling edges and romantic charm. Parisian inspired die templates to mix and stack. The Celtic knot designs are repeated throughout in this set o6 6 templates. Each piece has a knot motif to complement each other and its sister set, S5-162 Celtic Accents. 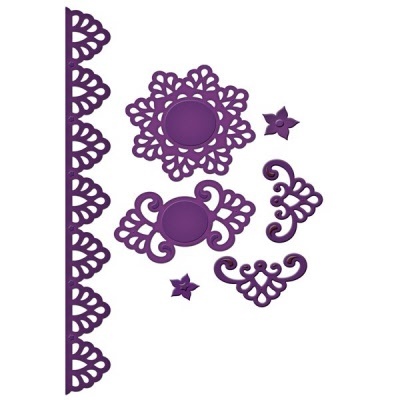 Layer to create a wonderful embellishment or use as a single beautiful accent. Inspired by intricate Moroccan architecture, Moroccan Accents is a set of 7 coordinating elements. This set mixes and stacks with each other and the S5-065 Moroccan Motifs. Set of 7 die templates. Elegant scroll work combines with leafy detail create timeless designs. Bring a natural element to cards, scrapbook pages and mixed media projects. Set of 10 templates. A unique set that can be used in many ways. Frame an image or small photo when nested or use as a fancy tag for an accent…you choose. Beautiful accents on each tag to go with any project.